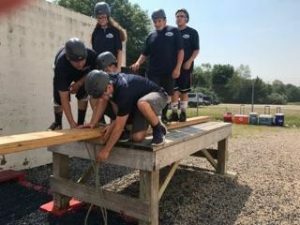 PRIDE offers several Youth Leadership opportunities and programs for our local youth. These programs build skills in youth leaders to promote healthy lifestyles and spread positive messages, in order to encourage younger children and their peers to stay substance free. Youth Council has been a constant positive in my life this year and I look forward to every meeting and event; I’ve never left one without a smile on my face. The Youth Leadership Academy gave me so many opportunities and wonderful experiences. I look forward to seeing others follow in my footsteps. 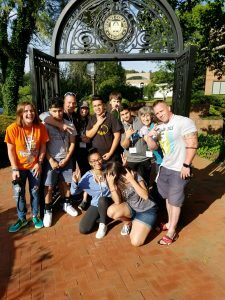 The Windham PRIDE Youth Council brings together teens from different schools and communities. We joined not knowing anyone and, here, found life-long friends. Concludes with Family Celebration events, in partnership with local businesses. 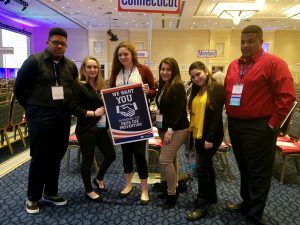 CADCA’s National Youth Leadership Forum in Washington, D.C.